This is a blog by Robert Lynn, a senior Studio Art and Art History double major at UMW. I currently serve as the Studio Art student representative in the Art Department, so feel free to contact me if you have any questions or ideas concerning student involvement in the department. I am currently using this blog for Professor Carole Garmon’s Sculpture II class as well as a venue to digitally display my portfolio. 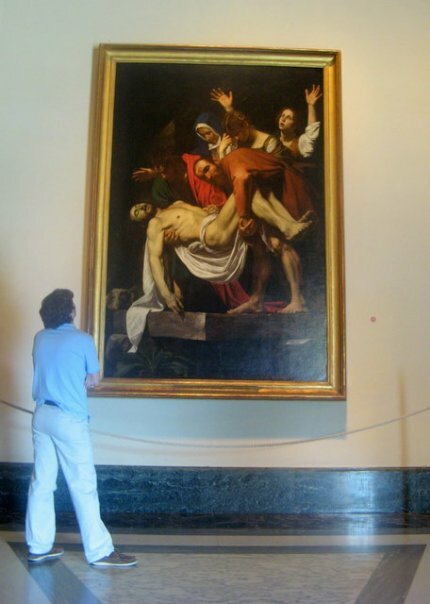 In the past, I have used this blog for Dr. Marjorie Och’s seminar ARTH 460 Women and Western Art and Professor Claudia Emerson’s course ENG304: Creative Writing Poetry, as well as to document my progress in my ARTS 491C: Individual Study: Painting on the topic of Caravaggio. Additionally, this blog also as a forum for any interesting topics related to art (including, but not limited to, sculpture, women in art and Caravaggio).